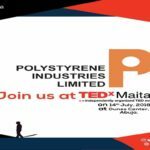 Polystyrene is an innovative building material that is efficient, cost effective and environmentally friendly because of the capability of the technology to provide opportunity for sleek designs and structural integrity of buildings. The technology also offers tangible environmental advantages that can maximise energy efficiency, providing improved indoor environmental quality and enhancing durability even as the technology also lends itself to interior decor capability. The company’s Managing Director Hamza Atta told Daily Trust that the technology provides faster, simpler and more comfortable system of building low cost houses. “Houses done with polystyrene can make you live comfortably even without power. 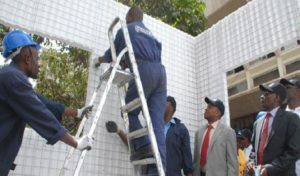 The system is simple and you can put it up yourself without necessary paying for labour”, he said. 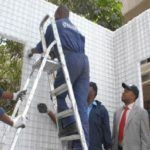 Mr. Atta said the technology can deliver a two- bedroom flat in less than two weeks and far cheaper than conventional cement dominated building. “We are trying to build a two- bedroom flat in seven days. So it’s a cheaper and faster means of building houses. Because you have galvanised wires round the polystyrene panel used in building the houses, the building is hurricane and collapse proof because you have irons caged in concrete. And any engineer can use it,” he assured. 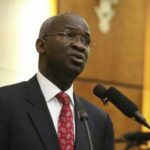 According to him, the technology can help reduce the housing deficit currently estimated at 17 million housing units requiring about N56 trillion to bridge.